Contact us for more information about Jody Victor or MarkerMan Productions. 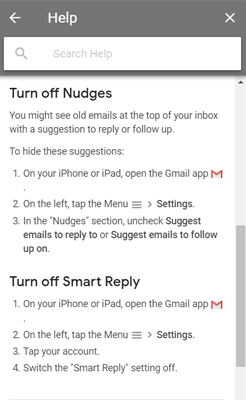 There are a few newer features added to Gmail in the past year or so that can be annoying to some, helpful to others. One newer feature is called Nudges. Do you forget to answer emails? Gmail can nudge you now to answer the email. I had noticed there was an older email (4 days old) that I wanted to wait to answer. All of a sudden the email was at the top again. In the subject line there was orange print that said “Received 4 days ago. Reply?” You can choose to reply or even “snooze” the email. If you snooze it, it will go into a new folder called “Snoozed”. This can be enabled or disabled in Settings. “Smart Reply” is another newer feature. The first time I saw it, I was a little confused because I hadn’t read anything about it. These are the words that show up at the bottom of an email that allow you to choose a canned response. For instance, based on words in the email (yes that’s creepy), I’m looking an email that ends “How’s that sound?” and the canned response choices are: “Sounds good to me.”, “Sounds like a plan.”, and “Sounds great!” So I could choose any one of these quick replies. I can usually tell when I’ve gotten one of these from somebody. These Smart Replies can be enabled or disabled in Settings. This picture shows the instructions for disabled from your iOS device. Another newer feature is the “Hover Actions” where you can hover over the email list and delete or label while in the list. This action can be enabled or disabled in Settings. You can now add a split view to Gmail where you can see the list of mail on the site and a pane with email to the side or top of it (horizontal split or vertical split). If you have a wide screen, it makes it nice to work with. Just a couple weeks after Collection #1 Breach was identified, there come Collection #2-5 Breaches. There are an estimated 2.2 billion unique accounts compromised in this breach. The site we usually check for breaches (HaveIBeenPwned.com) has not been updated yet. In the meantime, you can use the Hasso-Plattner Institute’s tool to check. When you enter your email into this tool, it will email you a report of what has been found in a breach. Once again, we want to stress that you use a password manager, use hard to type or guess passwords, use 2FA where available. You’ve gotten those emails asking to click on something. It could be to learn how to make more money, or maybe someone has your information, or something that really looks legitimate. They prey on people hoping to get more of your personal information. There was a new breach found last week and reported by Troy Hunt on January 17, 2019. This one is a massive breach where a collection of emails and passwords of over 2.5 billion rows of combinations. There were over 1.1 billion of these as unique combinations found possibly due to emails being in both upper case and lowercase. There were a total of of over 700 million unique email address with passwords. Perhaps you are no longer using a particular email that was found in the breach. Or maybe your password has been changed. Chances are you are or were a little lax about your passwords and re-used them on different sites. We recommend you use a password manager and let it generate secure passwords for you. You would only have to remember that one password and can have access to all your passwords and sync them to your devices. Some managers even offer storage of sensitive documents. Read Troy Hunt’s article here. Does Google know more than you want them to know? Google services on Android or iPhones can store your location data, even when you try to prevent it through your device settings. Google Maps can make a timeline of your movements, for example. It works so well that last year a warrant was served by police in North Carolina to Google to find devices near a murder scene. You can turn off your location history so the places you go will not be stored. This may not keep Google from tracking your movements through nearby towers but it is something more you can do to make it a little more difficult for them. There is a Chrome extension to help you pick better passwords. It is called PassProtect by okta. It will tell you right away if your password is in a list of data breaches. It doesn’t necessarily mean your username/email and password combination are in that list but if your password is already in a list of compromised passwords, you might want to rethink that password. You can add it to your Chrome browser. They do not store or collect any information from you, they simply use the HaveIBeenPwned.com API to check against the list of known breaches. If you want to check a password on your own, you can check it here as well manually to see if it is in the list of breached passwords, because it is the same list. Hackers that have collected passwords will often use them to breach a site and try to guess people’s logins and if you are using a password from a breached list, and they know your email or username, you may find yourself hacked. 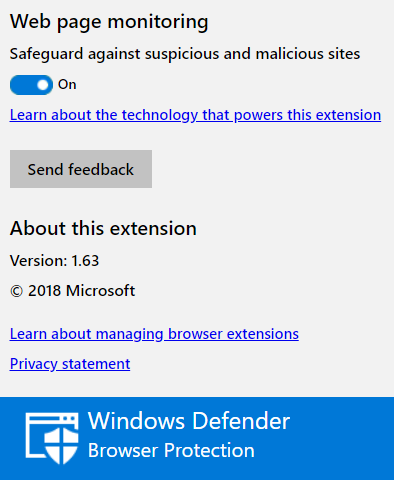 There is an extension for the Chrome browser called Windows Defender Browser Protection. It extends your Defender protection to include your browser. It will keep you from accidentally clicking to phishing site. You can also turn the protection on or off. If you click to a link from an email it will help by reporting to you that the website is unsafe. After you install it on your browser, you will see a small defender icon on the top of your browser. You can click it and then you will see the dropdown (shown below). You can turn on or off temporarily. Get the extension for Chrome here. Learn more about how it works from Microsoft. Cryptocurrency is the term given to currency such as bitcoin, ether, or any of the other digital currencies out there. So how does this work? Cryptocurrency runs on what is called a blockchain, a ledger or document that is duplicated over networks of computers. As this is updated, it is made available to the holder of cryptocurrency. Every transaction is recorded of every cryptocurrency. The blockchain is run by miners. Their computers tally up the transactions. They update the transactions and also make sure of the authenticity of the information received. In payment, miners are paid fees for each transaction. The buyers and sellers agree on the value of the cryptocurrency as it fluctuates. The transactions are made peer-to-peer without a mediator like a bank. The buyer and seller do not know who the other is, but everyone in the blockchain knows about the transaction as they are made public. If I wanted to buy something that costs $10,000, and find a seller that accepts cryptocurrency, I would try to find out the current exchange rate get the public cryptocurrency address, say bitcoin, and we would stay anonymous to each other. I would then have my Bitcoin installed to his computer, say 10 bitcoins rated at $1000 each. My bitcoin client would sign the transaction with his private key. The transaction would be verified and transferred and recorded. Coinhive cryptomining scripts were found recently in 19 apps in the Google Playstore. One of the apps had over 100,000 users. They have since been removed from the store. You are browsing the Internet and maybe you look at some items and then it seems every where you go you are seeing the same things or related items that you just looked at. Maybe you abandoned a shopping cart or changed your mind about the purchase. Maybe you started filling out a form and stopped in the middle of it. They can’t possibly know what you typed, right? Or can they? In an article by Motherboard.com, they cite a study done by Princeton University about boundaries. Or rather “No Boundaries.” How do you think Pinterest or Facebook or other social media sites get the information? There are sites such as FullStory that allow website owners to capture every keystroke a user makes. They use “session replay” scripts to capture what the customers are doing on their sites. You can see some of the major companies who use fullstory.com here. Now more than ever it is important to read websites’ terms and conditions. They may collect things like medical conditions, personal data, credit card info. Passwords may even be “accidently” included in the data. So what can you do? Run AdBlock Plus in your browser. According to the Princeton study, AdBlock has been updated to block all these scripts, thanks to the study. This video shows FullStory capturing a user’s data as it is being entered into a form. On the run with his new girlfriend, Malina, they try to figure out what is going on. Not knowing it in the beginning, Sergio finds out Malina’s sister was murdered and blames it directly on Circles. Not knowing who he can trust he works it out with Malina and they continue to find the truth. The crux of the mystery is that what was found was “socialbots,” bots that parade as people and interact with people and learn using AI algorithms. The bots were going to be used in a bigger plot to sway people to vote for a certain president whose agenda was to bring the US to own over a third of the earth’s rare earth metals. Once in, a Chinese diplomat was going to blackmail him into not doing this as China would lose out a lot of their economy over this. We’ve talked about passwords before and yet it is such an important thing because of all the breaches we see. Some people say they don’t have anything that important so it doesn’t matter or they say they need to use the same password for everything. This is a totally bad practice and attitude to have about this. Think about all your accounts where you have purchased items, or your banking or credit card accounts. Do you really want to use the same password for everything? Once they breach one account, say your email, they can look through that to find what other accounts you are subscribed to and have a field day. This is even how identities are stolen. Go to HaveIBeenPwned.com and check your email for pwnage. Also click on their password tab and check to see if your passwords are on any common lists. Use a password manager like LastPass. Use 2 step verification. Use an authenticator, too. Once you download LastPass, set it up with a hard to hack easy to remember password (the first video below gives some suggestions on how to find one.) You can then import all the passwords saved to your browsers. Once you have LastPass you can also run a kind of audit check for recommendations on which passwords to change – it will show you duplicates or not so secure passwords you already have. Firefox just got faster. Two times faster. This past week, Firefox updated to Firefox Quantum (Version 57.0.) There are two versions – one for regular browsers and one for developers. It is built on a new engine for better and faster page loading. It also will use less memory than previously, and they say it is 30% lighter than Chrome. It has built in privacy modes. You can block even hidden trackers by turning on tracking protection. When you block the ads and scripts that are bogging you down, the page loads even faster. If there’s a page you want to see later, you can save it to Pocket to view later. There is a library where it will place these articles as well as your bookmarks. You can search with other search engines with just a click. You can also customize it with themes or placement of icons for your tools and addons. You can take screenshots without adding an extension – it’s built right in. We recently came across the term “whaling” so of course, we needed to know more about it. Here is what the Victor crew found out. It is a form of phishing aimed at high-profile business executives, managers, CEOs, etc. They are going after the “big fish.” The emails sent to them are more official looking and target a particular person. 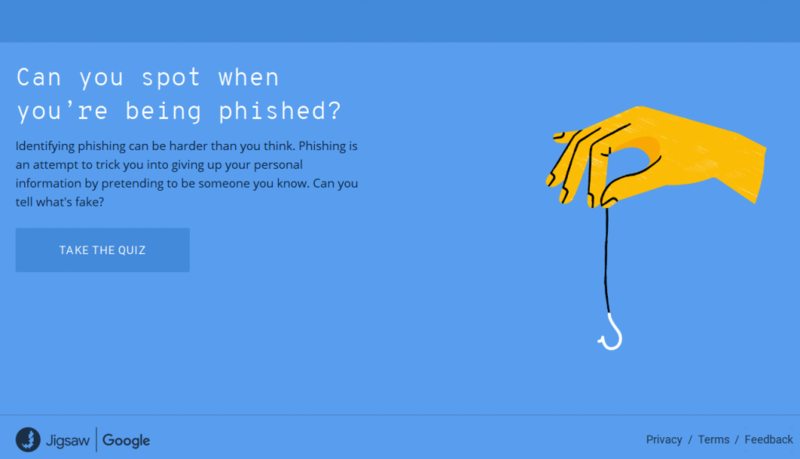 A regular phishing attack usually goes out to a lot of people trying to lure anyone. Whaling is also considered “spear phishing” where it is an attempt to target an individual person or company. As with phishing, whaling is used to get a person to reveal sensitive information, such as login credentials, to an account. They do this by trying to scare the individual into giving this information up. Whaling goes so far as to make a web page or email that looks like the legitimate one. You may even be enticed into downloading a program in order to view a page or to get your information. It may come in the form of a false subpoena, message from the FBI, or some kind of legal complaint against you. Be aware of what you are clicking. If you can, hover over the link and see where it is taking you. Try putting the URL in an analyzer, such as VirusTotal or TrendMicro to see if it is safe. If in doubt, don’t click or download anything you are unsure of. Maybe you love, maybe you hate it but social media is here to stay. Many people used it as their lifeline during the past storm in Texas, known as Harvey. Many used Twitter or Facebook or Instagram to let people know they were in stuck and needed to be rescued. Still others used social media to let people know they were able to help. The U.S. Coast Guard preferred for people to call them or 911 but people had trouble getting through. People even turned to Airbnb to offer their homes as shelters for those in need. The Hurricane Harvey Texas Rescue Facebook group offered ways to help those trapped or in need of rescue. Passwords: should you use the one you want? If you are looking for a password, you can check to see if the password you want to use has ever been used. 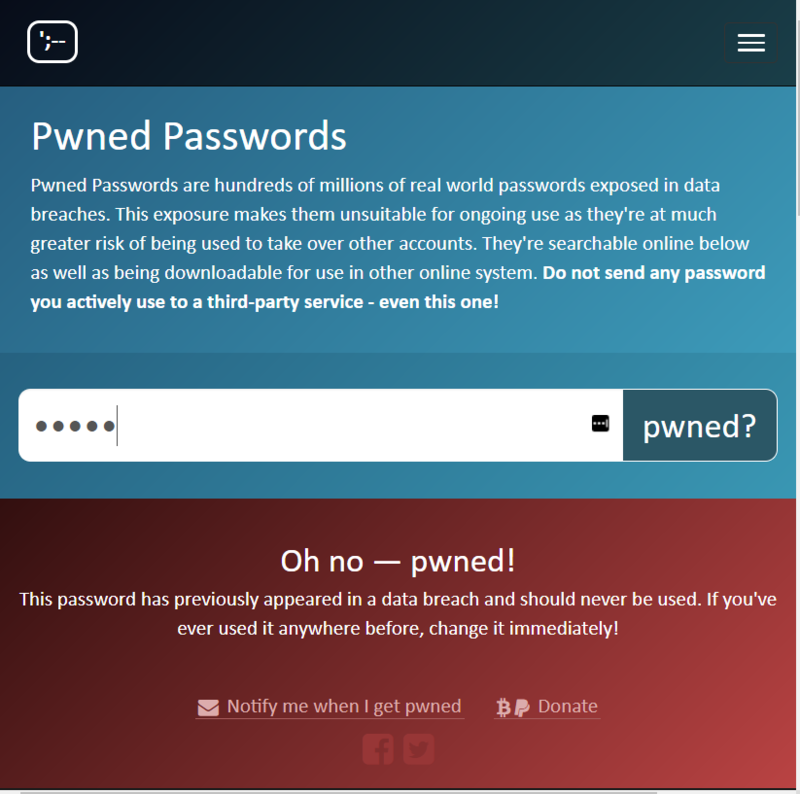 Just go to the Have I Been Pwned website and look at the Passwords link. They now have a list of the passwords that have been breached. You can test your password against it and it will tell you if it’s been breached but it will also tell you it may not be a good password even if it’s not been breached. So what is a bliki? The Victor crew came across this work and wondered. Well, in short terms it is a mashup of BLOG and WIKI. Blog is already a shortening of weB LOG. WIKI is a Hawaiian word meaning quick. So let’s look at all these terms. A blog is posts put on a site diary-style. People use them to report news, rant, keep journals, etc. They are quite popular. If you have a blog, you are probably the only who posts on it. Some blogs may have guest authors contributing or employees if it is a news blog. There are many popular blog softwares out there such as WordPress, Blogger, Typepad. In the case of WordPress, you can either use their blog at wordpress.com or download the software at wordpress.org and install it yourself using your own domain. A wiki is usually run on wiki software. It generally doesn’t have just one owner or leader but rather is open to the public to edit or to a group of users to edit. This is not as carefully planned out since anyone can contribute. There may be misspellings, poor grammar, etc. Wikipedia is probably the most popular wiki. Wikis may also not be reliable as to its actual content as we are all humans and have our own opinions and experiences that may influence our contributions. So now we come to explaining this. Some explanations are that it is a blog with wiki support, or a blog that allows others to edit and contribute. This goes beyond the usual comments only you would find on a regular blog. There are wiki plugins for WordPress. The Victor crew found an article on PCMag.com about some things that you can do with Google Maps mobile app that not everyone may know about. From this app, you can add stops, you can hail a ride (taxi or Uber, for instance), travel through time in Street View, create a private map, remember where you parked. These are just a few of the tips listed along with short videos. The Victor crew has heard a lot of news lately about a cyber attack nicknamed WannaCry using ransomware. Ransomware is holds an infected computer hostage until a ransom is paid, usually in bitcoin, money that is virtually untraceable. This latest attack has caused global problems. In the UK, hospitals have been attacked. In the US, FedEx fell victim. If you use a Macintosh computer you are most likely safe as these attacks are targeted at PC users. If you are still running Windows XP you are even more vulnerable as there are no more patches being made for these systems. Keep your computer up to date. Do the patches for your operating system. Make sure to do security updates for your security service. Only open attachments from the person you know and trust. Be careful of programs or other items you may want to download. Back up your computer to an external hard drive. Keep copies of your files on cloud services. If you do get infected and don’t want to pay the ransom, which has been about $300-$600, you will have to flatten your machine (reinstall your OS). If you have kept your files on a cloud service or on an external hard drive, you will have defeated them. You will need to reinstall all your programs if you haven’t backed up the entire system. The predictions are that today there will be even more as people turn on their computers if they haven’t been kept up to date. The Jody Victor crew ran across an article that is truly disturbing. A flaw in Microsoft Office given the ID CVE-2017-0199 has quite a history. This vulnerability allowed remote attackers to use Microsoft products to execute arbitrary code and take over computers. Ryan Hanson found the flaw last year. He spent some time to see if it could be made more deadly before contacting Microsoft in October 2016. Microsoft did not patch this right away. If they told people of a change in Word settings that would fix the flaw, then word would be out that there was a flaw with more ramifications. They decided to release a fix in a later update. However, they sat on it and took their time. They started working on a solution in January but attacks had already begun. Through links in email, computers were infected with software that allowed eavesdropping. McAfee saw some attacks on April 6 of this year and blogged about it April 7. April 9, a program was for sale underground for hackers to exploit the flaw. On Tuesday, April 11, the flaw was finally patched in an update. They don’t know how many computers were hacked or how much money was stolen before this exploit was patched. If you don’t automatically patch your PC, please do so now! The Victor crew came across an urgent matter. If your browser is Chrome or Firefox, be aware of a new phishing attack. An attacker can send you an email with a link to a malicious website. You could visit a site that will either infect your computer or make you think you are signing in with your credentials as they trick you into thinking you are accessing the correct site. The people from Wordfence, a security plugin for WordPress found this last Friday, April 14, 2017. They set up a demo site to show what is happening. It is well worth it to check their article and see if you are affected and what to do. They have set up a demo using a medical site, epic.com, so you can test your browser and browser settings. You can visit their demo site here in Chrome or Firefox. To compare the demo site with the real site they faked for comparison, you can click here to visit the real site here. Chrome currently does not have a fix for it. Last week, there was a major outage of Amazon’s cloud servers on the east coast in VA. It lasted a few hours and caused havoc with many websites. It’s not often that this happens, but when it does, it causes problems in many places. If you use any of their services, you can check the status of their servers here. Even if you don’t keep your website on their servers, you can find some of your apps having problems. Think Alexa, Nest, etc. Some major websites depend on these services as well and you may find them down as well. If you are having trouble reaching a site, you can go to isitdownrightnow.com. The home page of this site has a list of major services listed with (hopefully) a green box to let you know it is running. It includes sites such as Netflix, Facebook, Youtube, Google, Yahoo, and the like. There is also a list on the right site of sites last checked and some sites that are currently down. Oh, and human error was blamed for the massive Amazon server outage. Yahoo has recently been in the news again lately due to yet another problem with data breaches. Having a Yahoo account, this Victor crew member has received an email from Yahoo about it. In this message, they tell me that they are investigating the creation of forged cookies. They say they are taking steps to secure accounts. They say this forged cookie may have been created in 2015 or 2016 and they believe it to be connected to the September 22, 2016 data theft. They also give some actions you can take. They suggest using a Yahoo Account Key which is something we will investigate ourselves at a later time. This user is on the verge of dismissing this account altogether although it was my first email created back in the 90s. I have added 2-step verification as well as changed the password. 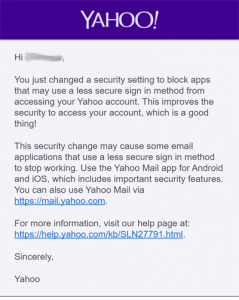 Another email as a reminder from Yahoo states a reminder to secure to secure the account. 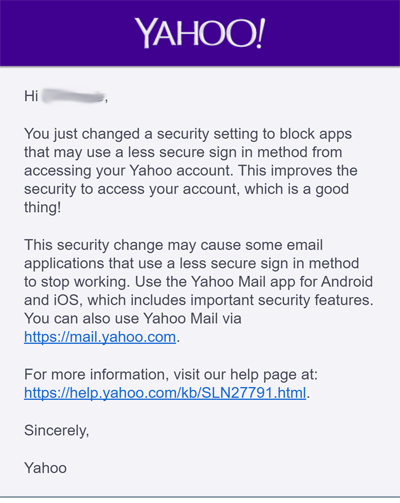 They suggest updating to the Yahoo Mail app on android or iOS. They suggest to turn off insecure apps. As I logged into the account after the above emails, there was a link to update security settings to block apps with less secure login. I am not sure what this entails yet, but will let you know when I find out. We’ve written a few times about password security. But what if your phone number gets hijacked? This is not having your phone stolen but rather having your phone number taken from you. You no longer can use the two-step verification because someone else has the number they have on file for it. So how does a phone number get hijacked in the first place? The Victor crew wanted to learn more. It can start with a text that looks like it came from your carrier. It may have a number or a login page for you to enter some information. All they need is your call-in pin and they can start the process of porting your number over to their phone. You actually think you are talking to a representative of your carrier. Once they have your number, they can use the “forgot password” function of all your apps and get a code sent to them to reset the passwords. Think of all the apps you have – your bank, your email, your wallet. So what can you do? Put a passcode on your account with your carrier. Make sure whoever you are talking to uses that passcode with you. If a hacker tries to use it, hopefully the representative is on the ball and asks for the passcode. Use the mobile carrier specific email address to access the account. Forbes suggests you have an address as your current primary one, one just for a mobile carrier, and one for all your sensitive accounts like banking. This way your primary account can’t be used to steal your phone number. Disable online access to your wireless account. You will have to go the store to make changes but it won’t get hacked. Ask your carrier to make changes with photo ID required. Use a password manager and let it generate passwords. Don’t have the same security questions on all sites and don’t answer them truthfully. Do not connect your mobile number to sensitive accounts. Create a new Gmail email address and don’t connect a phone number to it. Use Google Authenticator with one-time passcode generator to use it. They suggest using a Google Voice number. Use a security key. Yubikey is a physical security key device. There are also devices you use a USB port for. Use biometric authentication – fingerprint for example. Don’t say yes! If someone calls from an unknown number and asks, “Can you hear me?,” don’t say ‘yes.’ It will be recorded and they will have your voice saying yes in agreement and may use it to authorize changes on a phone bill, utility bill, or credit card bill. The Victor crew thinks this sounds a lot like the old ‘slamming’ fraud where a phone company would ask you a few questions and if you said ‘yes’ to anything they would change your phone billing method, mostly to a much higher rate with another company. Right now this is mostly happening in Virginia, although similar complaints came from the Pittsburgh Better Business Bureau in October. Police are urging people that if they receive this type of call, to hang up immediately and don’t answer. If you use Gmail, like many others, the Victor crew wants you to be aware of a new phishing attack going around. This one is even fooling tech-savvy and security conscious people. They are trying to steal usernames and passwords for Gmail. It starts as an email that appears to come from someone you know and may even have an image of an attachment you might think is from the sender. If you click on it, it will give a preview, like Gmail normally does but instead, a new tab will open and want you sign in to your Gmail account again. Make sure you look at the address bar and see only https://accounts.google.com… If you see “data:text/html,” before it, (data:text/html,https://accounts.google.com/ServiceLogin?service=mail), DO NOT ENTER YOUR LOGIN! If you think you may have already fallen for this attack, change your Google password.